Ever dreamt of getting a surprise within a surprise? Now, that fantasy can turn into reality as Cadbury Gems Surprise, the ball-shaped offering from Cadbury Gems, presents a new range of iconic Justice league toys through a licensing agreement with Warner Brothers. This deal has been facilitated by Dream Theatre Pvt. Ltd., one of the pioneering brand management and licensing company that builds, represents and distributes iconic Entertainment, Sports and Fashion brands in South Asia. It marks a landmark in the field of promotional licensing as it brings together two iconic brands in a powerful and creative partnership. Now, kids all over the country will have a chance to collect toys of their favorite Super Heroes like Superman, Batman, Green Lantern, Wonder Woman and Flash. These characters teach kids lessons on human perseverance and how to overcome difficult challenges when growing up. With this tie-up with Cadbury Gems Surprise, kids can make these Warner Brother Superheroes a part of their lives at consumer-friendly price point of Rs. 20, Rs. 40 and Rs. 90. This deal will also lead to the launch of a new pack called the Cadbury Gems Playpack. 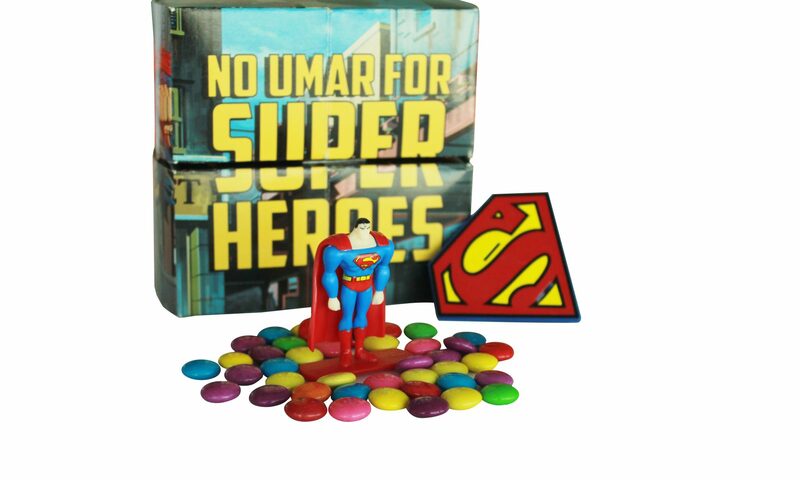 This unique offering allows kids to play with the pack while giving them a choice of exciting toy assortments like a Super Hero Skateboard and a Super Hero toy. To support the launch, Cadbury Gems will come up with a new TVC that showcases the new range of toys in a fun and a quirky manner.